The hand clasp demonstration is an impressive hypnosis suggestibility test that can be performed in a group setting to find the “best of the best” potential volunteers for a Stage Hypnosis Show. Audience members are guided to clasp their hands out in front of them while focusing on the idea that their hands are locking together and will not come apart no matter how hard they try to pull them apart. The test is successfully “passed” when the subject, probably to their amazement, is unable to pull their hands apart regardless of their effort to do so. Also referred to as “The Hand Locking Test”, this demonstration is both a hypnosis suggestibility test and a hypnotic induction rolled into one. If a subject is willing to give this process full effort and concentration, they will quickly be led from full wakeful alertness into a good working state of hypnosis. From there they can be further directed into a deeper state of hypnosis with a rapid induction. Any person who succeeds in getting their hands locked together is certainly a good candidate for a stage hypnosis show. Despite the myriad of distractions around them, they’ve shown potential to wrap their mind around a specific thought to it’s immediate realization. This requires a both a high degree of concentration and creative imagination, combined with a willingness to apply these inherent traits. Of course, it’s not entirely up to the subject alone. The Stage Hypnotist must have a presence that generates confidence that the expected result will become a reality. Furthermore, the Hypnotist must also be able to make the process easy to follow with simple instructions. Effective use of language can be very helpful. The suggestion to “try to pull your hands apart” is an implied suggestion to fail. The word “try” implies “failure”. “The Hand Locking Test” was first introduced to the public by the famous French pharmacist turned psychologist, Emile Coué. Coué became internationally known through his classic suggestion phrase: “Every day, in every way, I am becoming better and better.” He is recognized as the father of autosuggestion, which is another word for waking suggestion and/or waking hypnosis. Coué performed the test upon every patient in his clinic, and, if it did not work for them, they were dismissed from treatment until it did. This is a personal choice on the part of the participant. The concentration required makes it difficult to succeed if the subject is looking around or distracted in conversation. Hypnosis is not “multi-tasking” and requires dedicated focus. When working with individuals or small groups, an experienced Stage Hypnotist can quickly discern whether the subject(s) are giving their full attention to the task at hand before proceeding. Hypnotist rapport with the subjects. Do they like you? Do they trust you? Confident delivery of clear, easy to understand suggestions. Bear in mind that the study of hypnotism unfolds the laws of personal influence. A man who sways multitudes by the charm of his voice and charisma is no less a user of the power of suggestion than is he who fastens another’s hands together. Both operate under the same law. 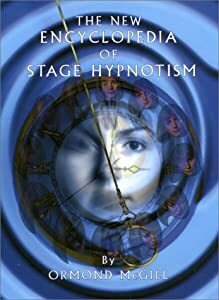 The study of hypnotism forms a remarkable background for the development of a personality that is forceful, dynamic, and charming. Such qualities the successful stage hypnotist must possess.